Streetfilms | Dr. Shoup: Parking Guru! 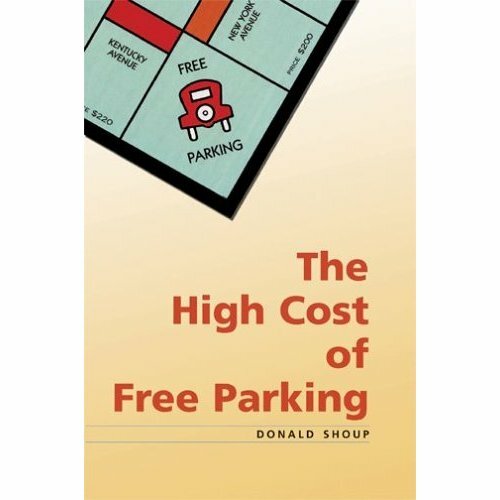 World-regarded as an expert on parking policy, UCLA Urban Planning Professor Dr. Donald Shoup is the author of The High Cost of Free Parking, a publication so popular among scholars and devotees that he attracts groupies known as Shoupistas at book signings! According to Dr. Shoup, free parking is the root problem of many of the ills that face our biggest cities. He posits that reforming parking policy will lead to a better pedestrian environment, cleaner streets and air, safer downtown shopping districts, and - yes - even less headaches for drivers trying to find that ever elusive curb space. In March 2007, Dr. Shoup paid a visit to NYC to enlighten city leaders with his research. Here's part of a taped chat with The Open Planning Project's Mark Gorton. Posted in Cars & Parking. Tagged as Donald Shoup, Mark Gorton, New York City, Parking, Transportation Policy. Well, yes, the video has some oddities, but frankly, it does come back to that neighborhood. And in NYC, you don't have to drive in nearly any scenario. If you don't like it, don't drive. That's why you boot them- so they are stuck in place.